Who was King Lemuel mentioned in Proverbs? Was he King Muel who ruled the mysterious land of Massa? Was he a Chaldean prince from an ancient country? Jewish and Christian commentators “consent” to the probability that Solomon is the king addressed in Proverbs 31:1-9, and that his mother affectionately called him Lemuel. The name “Lemuel” means devoted to God. When Solomon was an infant, God sent a prophet to give him the name of “Jedidiah” which means beloved of the Lord. Some posit that this “name, spoken by the prophet of the Lord, was the final symbol of God’s forgiveness in the lives of David and Bathsheba.” That Bathsheba cherished this God-given name and considered her son endeared to Him strengthens the general belief that Solomon is Lemuel. In her position as Solomon’s mother, Bathsheba served as an intercessor and advisor to him. In contrast to the wife of a king who held “a position of comparatively little importance,” the queen mother “commanded great influence.”  Women who had the highest authority during the Judean monarchy were the mothers of kings. The queen mother had a fixed position in the king’s administration, but the influence of a wife /concubine depended on many factors: the king’s favor, whether the woman was of royal birth, whether she bore the king’s first child, or whether she gave birth to the heir to the throne. When the king took another woman, it shuffled the pecking order in the harem, but it did not disturb the control of the queen mother. The Hebrew word gebhirah means the “mistress” or “queen mother.” It refers to a woman with a “sanctioned position within the Judean court and [who] had such great influence upon her son that she too receives blame as part of the monarchy for the fall of Judah.” The books of 1 and 2 Kings and 2 Chronicles include the names of the mothers of the kings of Judah because they were part of the success or failure of the kingship. Don’t fritter away your strength on pursuing women, sexual gratification, and political alliances through marriage. Such behavior destroys kings and their kingdoms. Avoid excessive use of alcohol. Its effects are mind-altering. It leaves one unable to remember the law and how to make just decisions. Stand up for the weak and helpless. Be compassionate and stay in touch with reality. 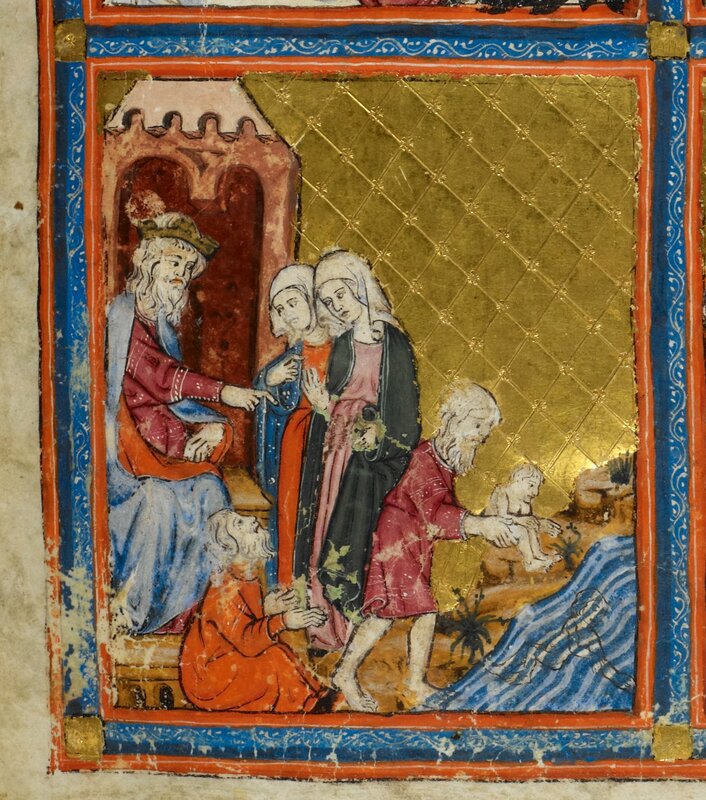 The last recorded conversation between Bathsheba and Solomon is a discussion on the topic of David’s attendant Abishag. Based on this example of how mother and son interacted, I believe Solomon customarily listened to her with respect. “Bathsheba therefore went to King Solomon…and the king rose up to meet her and bowed down to her, and sat down on his throne and had a throne set for the king’s mother; so she sat at his right hand. Then she said, ‘I desire one small petition of you; do not refuse me’” (1 Kings 2:13-21). Although Solomon refused the “one small petition” she asked on this occasion, he accepted Bathsheba’s right to present her case. It is unlikely that Solomon wholly rejected Bathsheba’s three points on being an honorable king. But in the course of his reign he did not wholly take them to heart, either. On the negative side, he gathered a harem of a thousand women, he gratified himself with wine, and he imposed heavy taxes and forced labor. When Solomon died, the people remembered him for having placed a “heavy yoke” and “burdensome service” on them (1 Kings 12:4). Why didn’t Solomon follow his mother’s advice? Maybe he didn’t see the need for it. He was youthful, vigorous and confident. God had given him wisdom, riches and honor. He felt assured of God’s love and favor (1 Kings 3:4-14). He built a magnificent house for God, and God blessed it with His glory. Maybe Solomon had a different vision for his reign—a generation gap? His father was a man of war and had consolidated the kingdom. Solomon assumed the throne in peacetime. His goals were made possible by peace. I set my heart to seek and search out by wisdom concerning all that is done under heaven (Eccl. 1:13). I set my heart to know wisdom and to know madness and folly (Eccl. 1:17). I searched in my heart how to gratify my flesh with wine, while guiding my heart with wisdom, and how to lay hold on folly, till I might see what was good for the sons of men to do under heaven all the days of their lives (Eccl. 2:3). After her intercession for David’s son Adonijah, Bathsheba vanishes from scripture (1 Kings 2:13-21). Did she continue advising Solomon? Did she deal with his excesses? Did she encourage him to write? Did she help compile his wise sayings? Did she read that he valued her teaching? My son, keep your father’s command, and do not forsake the law of your mother. Bind them continually upon your heart; tie them around your neck. When you roam, they will lead you; when you sleep, they will keep you; and when you awake, they will speak with you. Posted in Bathsheba, Bible women, Lemuel, Proverbs 31, Queen mother, Solomon, Uncategorized. Bookmark the permalink.